Whiting’s Overhead Cranes provide greater handling precision for large or small loads at modern Paper Mills. Whiting cranes keep returning the investment because of their remarkable endurance and extremely low maintenance. 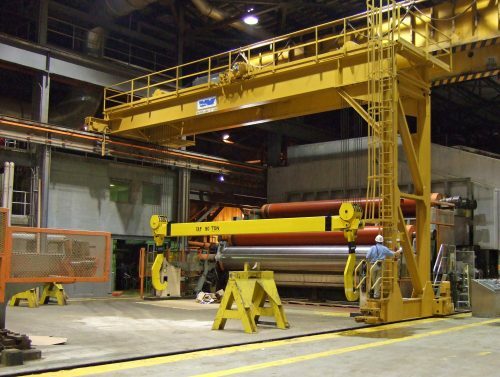 Whiting designs cranes for every part of paper production process. For Wet End and Dry end Use to automated reel and roll handling, Whiting will partner with you to build a crane that meets your application that maximizes your uptime.